Published: Oct. 9, 2016 at 02:04 p.m.
Tennessee Titans QB Marcus Mariota finds wide receiver Andre Johnson for a 5-yard TD. 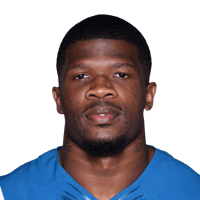 Published: Sept. 18, 2016 at 04:19 p.m.
Tennessee Titans cornerback Perrish Cox finishes the game by intercepting Detroit Lions QB Matthew Stafford for the win. Published: Aug. 27, 2016 at 08:54 p.m.
Tennesee Titans quarterback Marcus Mariota connects with wide receiver Andre Johnson for a 38-yard reception. Wk 13 Can't-Miss Play: McCourty to the house! Published: Nov. 30, 2014 at 03:06 p.m.
Tennessee Titans corner back Jason McCourty recovers Andre Johnson's fumble and takes it 62 yards to the end zone.